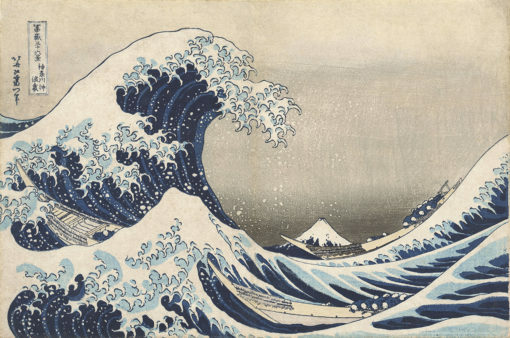 Katsushika Hokusai, The Great Wave off the Coast of Kanagawa. New research by University of New South Wales (UNSW) scientists points to prehistoric mass graves being related to tsunamis. The findings could change how researchers interpret coastal human settlement in prehistory. “Tsunamis have never been considered as explanations for burial sites before – which is why no prehistoric coastal mass graves have ever been identified in the archaeological record as tsunami-related. “We already know that tsunamis have occurred in all the areas that we explored in this study, and the ages for mass burials match those of the geological evidence for past events,” Professor Goff says. “Looking at the evidence from the burial sites considering the potential of tsunamis, we were able to make a strong case for many of these sites being related to major tsunamis, as opposed to more standard explanations like warfare or an epidemic. “Our archaeological research in conjunction with geological evidence recognises that exactly what has happened in modern events must have happened in the past. This line of analysis will hopefully start being at the forefront of researchers’ minds when excavating a coastal mass burial,” says Professor Goff. The researchers’ argument is not that every mass burial is tsunami-related, but that in a coastal context in particular, there is the danger of not considering it and, as such, misinterpreting much about human-environment interactions in prehistory. “There is a fairly simple way forward here. When people die in a tsunami, they inhale saltwater that contains small marine micro-organisms called diatoms, which means they suffocate and then drown.